Today, most Jains adhere to either of two great traditions: Digambar or Shvetambar. But in antiquity there was only one Jain tradition, and a man named Bhadrabahu 1 holds the distinction of having been the leader of the undivided Sangha. Teacher - student lineages recorded separately by both the Shvetambar and Digambar traditions join each other when they are traced back to Bhadrabahu, the very last individual to have attained the state of Shrut Kevalin, an authority on the 14 original Purva texts handed down from Mahavira’s own times. The teachings of omniscient Lord Mahavira were compiled 12 Anga text and 14 Purvas. The Purvas were regarded as part of the twelfth Anga, entitled Drishtivada. These texts were passed down from teacher to student by a well-regulated system of oral tradition and mnemonics. Teacher recited them and students memorized them. All Jain principles are based on these texts. After Lord Jambu (fifth century BC) who, in all time since, would be the last human being to achieve omniscience, Jain monks and scholars were guided only by these texts. Those who knew all of these texts are called Shrut Kevalins, indicating that although they did not have full and total Keval Jnan through those texts.As already mentioned, Acharya Bhadrabahu was simply the last Shrut Kevalin. Since there have been other Jain acharyas with the name Bhadrabahu , he is sometimes referred to as Bhadrabahu I.
Bhadrabahu was born at Pundravardhan, now in Bangladesh. During his time, the secondary capital of the Mauryans was the city of Ujjain. "If Padma Nandi Nath (Kundkundacharyadeo) had not distributed the divine sentience obtained from Seemandhar Bhagwan amongst the Sadhus, how could they realize the real path of liberation ?" His real name is Padma Nandi and is known as Kundkundacharya being a resident of Kundkundpur. 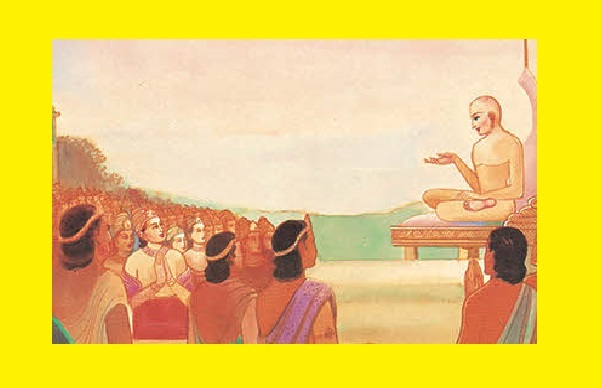 Following works of Kundkundacharyadeo are available:- Samaysar, Pravachansar, Panchastikaya, Niyamsar, Asta Pahud, Dwadshanu-preksha and Dash Bhakti. Rayansar and Moolachar are also said to be his works. It is said that he wrote eighty-four pahuds. It is also said that he wrote a commentary named Parikarma on the first three parts of Shat-khandagam, which is not available. 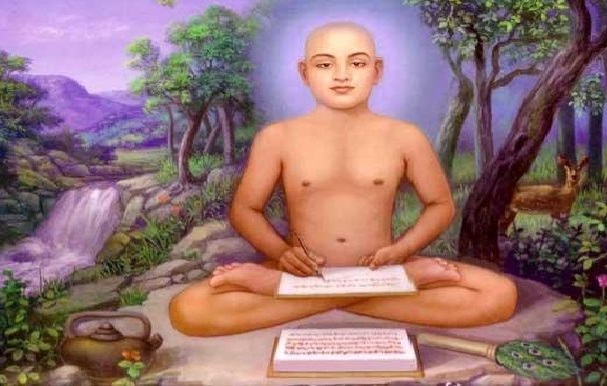 Among the most famous of all Jain acharyas, Kundkunda, the celebrated author of the four renowned books Samaya Sara (Treatise of the True Self), Pravachana Sara (Treatise of Lectures), Niyama Sara (Treatise on Pure Rules), Panchastikaya Sara (Treatise on Five Universal Components) and Ashta Pahuda (Eight Steps), which is a collection eight texts. All his works are written in a Jain dialect known as Shourseni Prakrit. The organization of Jain ideas into certain relationships and structures taken for granted in more recent centuries was ultimately a product of his genius. Acharya Hemachandra was a Jain scholar, poet, and polymath who wrote on grammar, philosophy, prosody, and contemporary history. Noted as a prodigy by his contemporaries, he gained the title Kalikāl Sarvagya, "all-knowing of the Kali Yuga". Acharya Hemchandra was born in 1088 A .D. into the Modha Vanik (merchant) caste, in the town of Dhandhuka, sixty miles from the city Ahmedabad in Gujarat State. His parents were Chachadev and Pahini. When Pahini was pregnant, she had a beautiful dream. She narrated her dream to Acharya Devasuri, who was in Dhandhuka at that time. 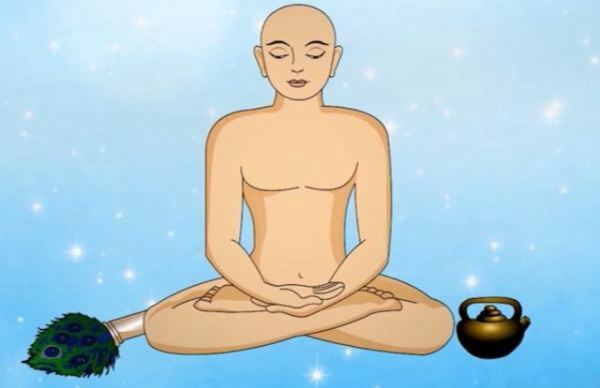 The acharya said that Pahini was to give birth to a son who would make great progress in the areas of spiritual knowledge, intuition, and conduct. Upon the birth the child was named Changdeva. The next time Acharya Devasuri was in Dhandhuka, he saw Pahini carrying her son. He said to Pahini, "Let me take care of this brilliant son. He is destined to be a great spiritual leader." However, he could not convince her to give him her son. The acharya kept pursuing and reminding that her son would become a famous monk and would glorify the Jain Order. Again, he requested that she should sacrifice her self-interest and love for the child for the good of the people. Ultimately, Pahini let the acharya take her son with him. He initiated Changdeva into monkshood and named him Somachandra. The disciple was very intelligent and soon mastered the darshanas, scriptures, nyaya, grammar, etc. At the same time, he cultivated excellent virtues like forbearance, tolerance, holiness, simplicity, discipline, chastity, and generosity. Somachandra was incomparable in administration and efficiency. Acharaya Devasuri made Somachandra an acharya when he was only twenty-one years old. At that time, he was given the name Hemchandra Acharya. 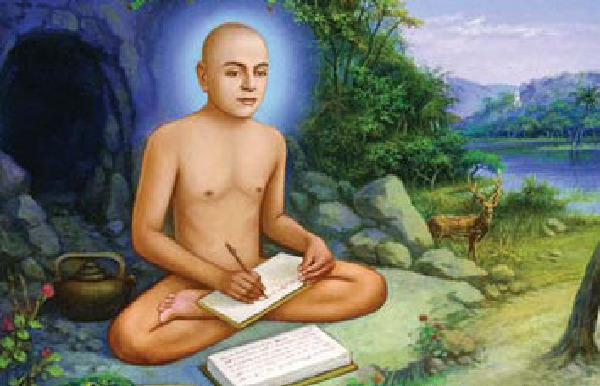 Acharya Nemi Chandra was Siddhanta Charkarvarti, because he had conquered all the realms of the known knowledge of the sacred books. He was called the Emperor because he had, like a Chakravarti conquering the six parts of Bharata, mastered the famous authoritative works He was a contemporary of the Jain king Chamunda Rai, whose time is the first half of the 11th century. So he lived in this land then. TThe Shat Khandagam written by Bhutbali and Pushpadanta, the disciples of Acharya Dharsen, is the oldest work in the old traditional Jain literature. In the first part of this treatise many subjects from the soul and soul combined with karmas aspects have been described. Keeping these in view Siddhanta Chakravarty Nemichandra wrote Gomattasar and divided it in two parts, Jivkand and Karmakand. Gomattasar is a regular text-book of the Jain Vidyalayas. In the first chapter of this great work, Gunasthans have been elaborately dealt with. This lesson has been written keeping in view the deliberations there. For a wide knowledge of the Gunasthans, students are advised to study Gomattasar Jivkand. At the request of Chamundaraya, he wrote Gomattasar taking the essence of all available works of the great Acharyas. He also supervised the consecration of the Gomateshwara statue (c.980 AD). Umā Svāmi is held in high estimation by the two main sections of the Jainas. Each section gives a different account of the life of the author of his great work. Umasvami wrote most sacred literature on jainism mainly Tattvārthādhigama Sūtra and Tattvārthā Sūtra. A Sloka found in Tattvārthā Sūtra at the end confirms that Umasvami was the author of the above books. According to the Digambara tradition his name is Umā Svāmi and he is the most famous disciple of the revered saint Sri Kundakundācrya. He is known as Gridhapichchha in consequence of his preceptor being so designated. This is borne out by a verse found in one of the manuscripts of Tattvārthādhigama Sūtra He renounced the world at the age of 19, led the life of an ascetic for 25 years and subsequently became the head of the ascetics and discharged his duties in that capacity for about 40 years. According to Śvetāmbaras sect the name of the name of Umā Svāmi was Umāsvāti. Umāsvāti was born in the city of Nyagrodhikā. The name of his father was Svāti, while that of his mother Umā. From this it appears that his name is a combination of the names of his parents, a fact inversely reflected in the case of Śri Bappabhattisuri, the author of Chaturvimsatikā, who was so named after his father’s and mother’s name Bappa and Bhatti. The Gotra or the lineage of his father and consequently of the author was Kaubhishani, while that of his mother, Vātsi. Umāsvāti has composed 32 Sambandha-Kārikās or the connective verses as an introduction to the Sūtras he composed. Over and above this he has elucidated these Sūtras by composing the Bhāshya or the gloss therein. Furthermore, he is the author of Praśamarati, Śrāvakaprajnapti etc., the number of these work known as Prakaranas. Different stories are told about the composition of Tattvārthādhigama Sūtra : One of these is given as follows in the introduction to its commentary composed in Karnātakiya language. Haribhadra Suri was a Svetambara mendicant Jain leader and author. There are multiple contradictory dates assigned to his birth. According to tradition, he lived c. 459–529 CE. However, in 1919, a Jain monk named Jinavijayi pointed out that given his familiarity with Dharmakirti, a more likely choice would be sometime after 650. In his writings, Haribhadra identifies himself as a student of Jinabhadra and Jinadatta of the Vidyadhara Kula. There are several, somewhat contradictory, accounts of his life. Acharya Haribhadra was born in a Brahmin family during the sixth century . He was highly intelligent learned man and was proficient in all subjects. He was the follower of lord shiva. One day while he was passing through a street, he came across the royal elephant. The animal was drunk and had gone out of control. The keeper was trying his best to bring him into control, but the elephant was not responding to any of his efforts. As the elephant was approaching fast towards him, Haribhadra had to escape somewhere. As he looked around, he saw in front of himself the prominent Jain temple of the city. He ran towards it and entered the temple in order to save himself from the wrath of the elephant. Haribhadra had never entered a Jain temple before. He did not have any clear concept about the Jain Tirthankars. As he entered the temple, he saw the white marble idol of Bhagavan Mahavira and Utsarpini as well as Avasarpini. Once, while Haribhadra was passing by the ladies' Upäshray, he heard the nun Yäkini Mahattarä reciting a verse indicating the order in which the sovereign emperors and Väsudevs occurred during the current Avasarpini. With his writings, he established that Sanskrit, rather than Prakrit, would be the language of Jain study. He used his only familiarity with the techniques of brahminical study and wrote in the same style. He is also noted for the great respect he displays toward other religious traditions. Acharya Pujyapada or Pūjyapāda (464 - 524 CE) was a renowned grammarian and saint belonging to the Digambara tradition of Jains. Since it was believed that he was worshiped by demigods on account of his vast scholarship and deep piety, he was named Pujyapada. He was said to be the guru of King Durvinita of the Western Ganga dynasty. The great Acharya Pujyapada is also called Devanadi. He was a very eminent scholar of Jaina Philosophy, Logic, Medicine and Literature. 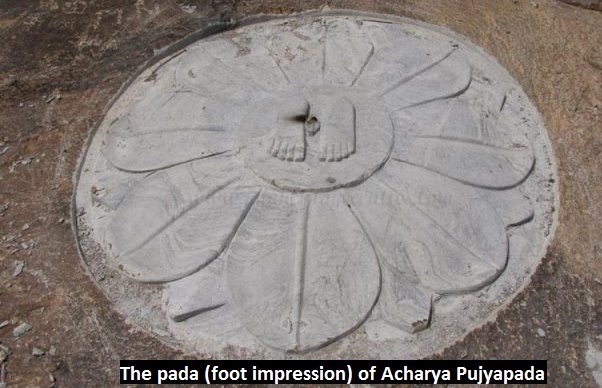 Pujyaopada ( one whose feet is adorable) appears to have been a mere title, which is acquired because forest deities worshipped his feet. He is also called Jinendra Buddhi on account of his great learning. His most famous works 'Jinendra-Vyakarna or Grammar of Jinendra - buddhi' is well known. Pancavasutka, the best commentary on Jinendra is also supposed to be the work of Pujyapada. Panini Sabdavarta is another Grammatical work traditionally considered to be a commentary on Panini grammar by Pujyapada. Vopadeva counts it among the 8 authorities on the Sanskrit grammar. 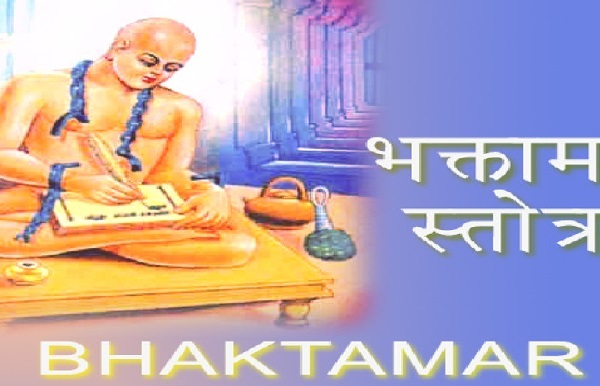 He also wrote Kalyanakarka a treatise on medicine, long continued to be authority on the the subject. The treatment it prescribes is entirely, vegetarian and non-alcoholic. Pujyapada was also a great doctor of medicine. He was not only an highly learned thinker but was also a great saint, whose scared feet, celestial beings worshiped with great devotion. Pujyapada's Sarvatha Siddhi is an elaborate commentary on the Tathvatha Sutra of Umaswami. This famous work is a compendium of all aspects of Jaina Religion and Philosophy. Acharya Sri Manatunga, the author of Bhaktamara stotra was a great digambar scholar, eminent missionary and prodigious ascetic. Each and every word of Bhaktamara stotra reveals his enlightening devotion and infinite faith in the first Ford Founder Lord Adinatha. Bhaktamara stotra is an unparalleled lustrous gem of devotional literature. Any devote, who sing the chants along with devotion and faith carrying a wish or desire not only attains the desired object but also the bliss of paradise and freedom. Bhaktamara stotra is an ageless panegyric. Its resonant and poetic word selection abounds in sentiments of devotions also the spiritual and cultural grandeur of Jain philosophy reflects in every couplet. The inherent melody in its rhyme has a hypnotising quality that instantaneously inspires a transcendental rapport with the Lord. Even today, millions of devotees recites this panegyric poetry with religious regularity and derive satisfaction of fulfillment of desires. The Bhaktamar Stotra has been translated in many Indian languages. It has also been translated into English , German and French. While its first English translation appeared in 1632, its German translation was done by Dr. Hermann Jacobi in 1976. Many Europeon writers like Maxmuller, Keith, Webber,Winternitz and Chalott Krause have eulogised the mystical verses of “Bhaktamar”. Each verse of Bhaktamar Stotra is connected with a yantra which contains the prescription guiding the devotee how to chant a mantra, how to prepare a mystical diagram, the method of self preparation for recitation of the syllables of the riddhi. In the end it informs the devotees about the advantages which will accrue after proper performance of the mantra. Acharya Shri Shantisagar Maharaj, Charitra Chakravarti was the first Digambar Jain Acharya of the 20th century, when the traditions of Digambar Jains were being wiped out since many years and there was hardly a saint or mendicant to work and speak for Lord Mahavir and Kundkund. He was also the first Digambar Jain monk to wander in North India after several centuries. He has wandered on foot over the length and breadth of India, receiving food offerings but once a day with only his bare hands for a bowl. Acharya Shantisagariji was born on Ashad Krishna 6, V.S.1929 (1871 AD) in a digambar jain family at Belgul village in Belgaum District of South India. His father's name was Shri Bheem Goura and mother's name was Shrimati Satyavati (Satyabhama). His name was kept as Satgonda. Satgonda was married at the age of only nine years with a girl of six years of age but ,the girl died within six months of marriage. He then declined for the second marriage and observed complete, clear and holy celibacy for the whole of his life. AcharyaShri was famous as charitra-chakravarti only because of his achievements and accomplishments for the up-life of Jainism. AcharyaShri had created deep impressions on common people by religious preaching and restrained life. Rulers of Sangli, Faltan, Kolhapur, Pratapgadh, Idar, Dholpur and other states used to come to see him. Even several European officers were also attracted towards Acharyaji. His preaching were highly philosophical; his thinking was of the highest level. He considered people of all religious equally. His disciples had also created very good impressions on the people. 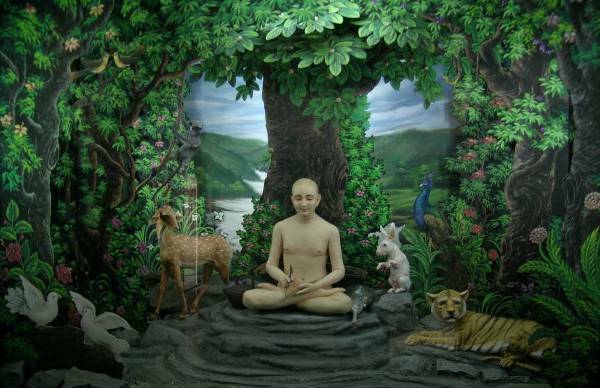 Acharyai ShantiSagarji was an ideal jain saint who re-incarnated the Digambar traditions. He had observed rigorous vows and restrained life with total celibacy for about forty years. He had won over his senses and had captured anger, greed, attachments, sensuality, pride desires with six enemies. His life was a lamppost for all mendicants, disciples and followers. Acharya Shri Vidyasagarji Maharaj (Kannada:ಆಚಾರ್ಯ ವಿದ್ಯಾಸಾಗರ, Nagari:आचार्यश्री विद्यासागरजी महाराज) is one of the best known modern Jain Acharya. He is known both for his scholarship and tapasya. Despite of being in a modern age, he is known for his hard austerity and long hours in meditation. Acharya Vidya Sagarji Maharaj was born on 10th October 1946 in village Saslaga (Karnatka). He was digambar jain by cast. His Father's name was Shri Malappa Ashtge and mother's name was Srimati devi. Acharya Vidyasagarji is a bachelor. He adopted BRAHMACHARYA VRAT by MUNI DESHBUSHAN in early age and MUNI INITIAN on 30.06.1968 at AJMER, RAJASTHAN by ACHARYA GYAN SAGARji. He adopted the acharya pad, the highest position of jain saint on 22nd November 1972 at Nasirabad , Rajasthan by acharya Gyan Sagarji. He is a very learned man knows the languages - Hindi/ English/ Sanskrit/ Kenned/ Prakrat etc. Acharya Sri Vidya Sagarji has been a source of inspiration for the construction, development and renovation of Jain temples and Images all over India. Acharya Sri always inspired to invite scholars of eminence to have discourses on different subjects . Acharya Sri has also taken classes to teach his disciples different Granthas. More than hundred books articles have been written on Acharya Sri 108 Vidya sagarji by eminent scholars and dedicated devotees. Also a number of Cassettes, C.D.,etc. has been released on Acharya Sri Vidya Sagarji. The book, Mook Mati written by Acahrya Sri is the most important subject covered by the research scholars. Since his diksha in 1968, especially after becoming Acarya in 1972, he has staunchly promoted Jain values and the Jain religion. He is revered by millions of Jains and non-Jains and it is a matter of pride for Bundelkhand that the learned Acarya has spent most of his vihara and caturmasa kala in Bundelkhand. Munishri Tarunsagarji is the revolutionary Jain Monk of 21st Century. His birth name is Pawn Kumar Jain, he born on June 26, 1967, in Village Guhanch, District Damoh, (M.P. ), his mother's name is Smt. Santi Bai Jain and father's nameis Shri Pratap Chandra Jain. He took Chullak Diksha on January 18, 1982 at Alkatra (M.P.) and Muni Diksha on July 20, 1988 at Bagidora (Rajasthan). He does not give his Pravachans in Jain temples. He says, "I want to escape from the temples. That is why I have stopped giving pravachans in your temples. I give Pravachans in the squares of roads, because I want to see Mahavir out of temples. My only wish is to free Mahavir from the hands of Jains, and want to spread his thoughts in masses". He is doing what he says. Jain Munishri Tarun Sagarji shows the world how a Muni could spread Jainism in masses without showing any miracles. Munishri Tarunsagarji discourses are attended by the masses of every religion because he speaks the truth for the welfare of society. The highest number of the people was 5 Lakhs when he delivered pravachan from Red Fort of Delhi. Munishri Tarunsagarji addressed the Maratha Light Infantry Regiment on September 21, 2005. Perhaps Munishri Tarunsagarji is the only first saint who received the Guard of Honor by Indian Army. During his visit to a small town, having population of just 5000, his pravachans were attended by 40,000 people every day for one full week. All types of people, including common people and politicians, Jain and Hindu monks, teachers and students, intellectuals, journalists, businessmen etc, attend his discourses. Digambar Jain Acharya 108 Sri Vardhaman Sagarji a learned Jain Acharya has always been a source of inspiration for the Jain scholars for guidance, for the construction, development and renovation of Jain temples and Images all over India. Acharya Sri always inspired to invite scholars of eminence to have discourses on different subjects. Acharya Sri always stressed the need for scholars and researchers to sink their differences and come together to espouse values that embody the path to salvation shown to humanity by Theerthankaras and Shruthakevalis, Jain thinkers. At the "Acharya Vandana" session, in which 77 Jain munis and mathajis and 200 scholars from different part of the country participated at the five-day all-India conference of Jain scholars and researchers organised by the Mahamastakabhisheka Committee to mark the Mahamastakabhisheka celebrations, he said the life of Bahubali is based on the values of sacrifice, non-violence and humility. Pointing out that differences of opinion and different points of view on the same issues are but common, he said the strength of a healthy deliberation is in using these differences into a consensual search for truth. He said man should introspect on his strengths and fallibilities and be in tune with mind and matter. On February 2006, leading members of the Digambar Jain community in the country, led by Acharya Vardhamana Sagar Munimaharaj made a passionate plea to the Centre to accord Digambar Jains the status of religious minorities. Addressing the two-day 'Shravaka Sammelan' (general assembly), he said it was difficult today to find people from the Digambar Jain community either in the civil service or any other wing of administration and attributed this to the climate of reservation in the country. 'Meritorious Jain students are finding it impossible to secure positions in civil service and this is because of the failure of the Government to secure Digambar Jains the status of religious minorities. This should be done without brooking further delay and the entire community must make a concerted effort at securing this legitimate status." Muni Shri Pulak Sagar Ji Maharaj a divine soul was born, in a very small but fortunate, Dhamtri village in Chattisgarh; this soul was none other than Muni Pulak Sagar Ji Maharaj. His birth brought happiness, wealth, respect and peace in the house of Shri. Bhikamchand Ji and Smt. Gopi Bai Jain, parents of this child. His name before Deeksha was just like his soul, Paras, that means Pavitra. This true follower of Jainism and devotee of Lord Parasvanath served mankind and preached Jainism under the guidance of Shri. Pushapdant Sagar ji maharaj. A Religious Jain Family of Chattisgarh, who spent their life practicing Jainism with hearted dedication and devotion, were blessed with a child, named Paras, on 11th May 1970. The whole family was celebrating the birth of this extraordinary child. Jain pilgrimages, Jain temples were visited by the family to thank god. Shri Bhikam Chand Ji visited the family pandit to know about the future of Paras. He was overwhelmed to have a glance at the future of paras, and was told that Paras is not an ordinary child and will be a great saint, who will show the light of spiritualism. At the very young age of 23, when Paras came in contact of Samkalin Sant Shiromani Acharya Shri Vidyasagar Ji Maharaj, his search for truth intensified. Paras was getting detached from materialistic World, which can give nothing but instable happiness, sorrows and grievances. On 27th January 1993, Acharya Vidya Sagar Ji Maharaj held finger of Paras and helped him to take his first step towards Spirituality and granted him Brahmacharya Vrat (Celibacy). His strong determination, nobility, religious thoughts also impressed Acharya Shri Pushpdant Sagar ji Maharaj and he awarded him with "Ailak Deeksha" on 27th January, 1994 in Gwalior. On this auspicious day, he received his true spiritual gifts - "Picchi and Kamandal". Later on, in Kanpur in front of large masses he was presented Muni Deeksha and Acharya Shri named him as "MUNI PULAK SAGAR". With Guru's grace and blessings Muni Shri 108 Pulak Sagar Ji discovered the absolute truth. Each moment of Paras's life was overflowing with the divine realization of existence of One in All. The stage beyond pride & material attractions was reached. His drive towards the final destination was started. The journey to blissful state where nothing can separate one from God and religion, finally begun. He is a true incarnation of mankind, teacher of Spiritualism, follower of Jainism, Preacher of Jain beliefs, and sea of knowledge. The credit for changing the lives of millions goes to Muni shree. He has inspired and taught all of us the way to live a peaceful life with a motto of “JIYO AUR JINO DO”. 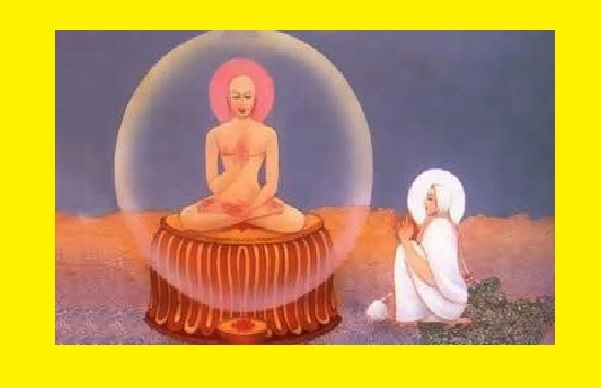 Acharya Pushpdant Sagar is a saint who practices meditation, distributes knowledge and he walks through his path over the edge of 28 fundamental characters but still serving mankind is motto of his life. Pushpgiri Tirth is his greatest dream that is coming true. Pushpgiri Tirth is an endeavor to establish nobility, care and help to mankind.. 25 major dream Projects are under progress, like Vatsalaya Dhaam (Muni Shree 108 Pulak Sagar Ji Maharaj), Muni Tarunsagar Sabhagreh (Muni Shri 108 Tarun Sagar Ji Maharaj), Muni Saurabh Sagar Cancer Hospital, Sant Niwas, Guru Bhawan and many more. Such a great Saint was born on 1st January when the sun was rising at the home of Shri Komalchand Jain and Shrimati Mathuradevi Jain at Gondiya (Mahashtra). He was named Sushil by his parents. It was a big family they left Gondia and shifted to Chhatarpur but all in vain still facts did not help them. They had to face economic crises there too. As a result a child Sushil did not have a childhood but it turned into a professional phase. He was a wise, clever and tolerant since his childhood as it shows his name "Sushil". He had education with problems, lake of resources but completed it. He was active in all his college activities and graduated with P.S.C. also. But lines of his palms were showing him to attain the heights of Adhyatma (spirituality). This came true when he received the chance to feed Adhyatma Yogi Sant Shiromani Acharya Vidyasagarji Maharaj in 1978. As a result of the love and vairagya of Acharya Vidyasagarji Maharaj, he had made-up his mind to predecesses him. His mother was a religious lady and permitted his complete devotion to Jainism. Sushil took Brahmacharya vrat on 12th April, 1978 by Acharya Vidyasagar. He had great passion towards Adhyatma. He was awarded Kshullak Deeksha on 2nd November 1978 at Naina Giri, Madhya Pradesh and Ailak Diksha on 14th January,1980 at same place by Acharya Pravar Vidya Sagar Ji Maharaj. He had strong aim to achieve Pancha Mahavrat in his life. He was very determined and got the chance to meet Acharya Vimalsagarji Maharaj and he noticed some great qualities in Ailak Ksheersagar (Now Pushpdant Sagar) through his "Man Paryay knowledge" and visualized him as a Muni. Finally, after 16 days of Ailak Diksha he rewarded him Muni Deeksha on 31st January, 1980 at Bala Vehat, U.P. Ailak Ksheersagar was name as "Pushpdant Sagar". His simple & noble thoughts were like the ocean of spirituality and had deep effect in the hearts of the native villagers, as a result, other than Jains were also calling him the Vidyasagar of Chhattisgarh. His knowledge is like a mobile encyclopedia or a dictionary. His smiling face and deep knowledge of all religious texts can satisfy everyone’s curiosity. While seeing his Sanyam (tolerance), Sadhana (efforts) and his love to the young generation he got the prestigious Acharya Pad on 21st March, 1986 at Gommat Giri. Acharya Vidyanand ji (आचार्य विद्यानंद) (Born 22 April 1925) is one of the senior most principal thinker, philosopher, writer, composer, editor, curator and a versatile Jain monk who has dedicated his entire life in preaching and practicing the noble concept of nonviolence (Ahimsa) through Jainism. He is the disciple of Acharya Deshbhushanji. He has written may books and articles. He is now about 90 years old. He has spent his past four chaturmas (4 months stay during the rainy season) in Delhi. Several institutions like D.J. 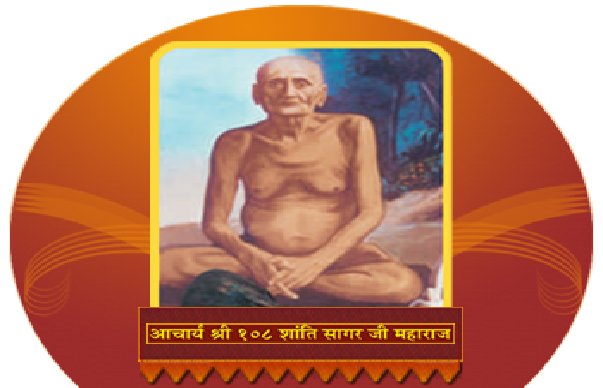 Muni Vidyanand Shodhpith, Baraut, Uttar Pradesh are named after him. He has many monk disciples like Muni and lay disciples like Sahu Shanti Prasad Jain, Dr. Jay Kumarji Upadhye, a renowned Jain Scholar. Ahinsa Sthal in Delhi was established at the initiative of Acharya Vidyanandji on the land granted by the late Prime Minister, Rajiv Gandhi. Vidyanand was a notable figure in voicing the opinions of Digambara in the Bahubali affair. There have been several distinguished Jain monks with the same name in history. One of whom is commentator of Tattvartha Sutra and Aptmimamsa, lived during 800 CE. Born and brought up at Shedbal village in the southern state of Karnataka, India. His Primary education was in Marathi medium at Dhanwad Maharashtra and Higher education was in Kannada medium at Shedbal Karnataka but later he decided to Join Shanti Sagar Chatra Ashram in Shedbal for his higher studies in mastering multiple languages. After completing his initial education he got placed in Ordnance Factory in Pune by his uncles reference. After few months he finds it uncomfortable to contribute in manufacturing of any kind of weapons. So he quit that job and joined a Biscuit manufacturing factory in Pune. Unlike most of the youth in those days Surendera was also a strong believer that India's National freedom can only be achieved by Non-Violent movement and get inclined towards Nobel path of Ahimsa.This was the time when he had decided to dedicate his life towards spreading the concept in its root form as practiced in Jainism. In the year 1945 at the age of 21, he came in touch with Acharya MahavirKirti ji while he was practicing his annual Chaturmas at Shedbal. During this time he made a formal request to join his Jain Acharya Sangh. After an year of observation in the year 1946, Acharya Shri Mahavirkirti ji initiated him as Kshulak Parshvakirti (क्षुल्लक पाश्र्वकीर्ति). Starting from Kundarpur in the year 1946 till 1962 at Shimoga he complete 17 chaturmas before being finally initiated as Muni Vidyanand by Acharya Deshbhushan ji in the year 1963. He had became so popular for his lectures and briefings on the Jain scriptures that his 15th Chaturmas in Belgam was celebrated with great enthusiasm and his followers sedan him in a palanquin on there shoulders and took him around the city to introduce him to the public in the year 1960.